We now have 3 great cups for you to enjoy your coffee from. 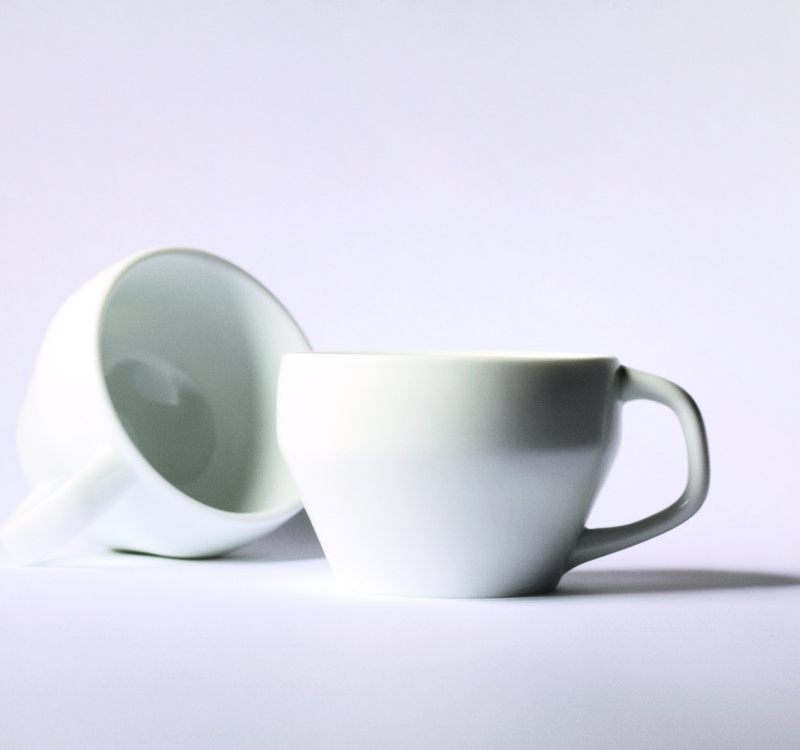 Like our milk pitchers, the Cafelat cup design came very naturally, however it took a long time before we were satisfied that the cup was the best that it could possibly be. 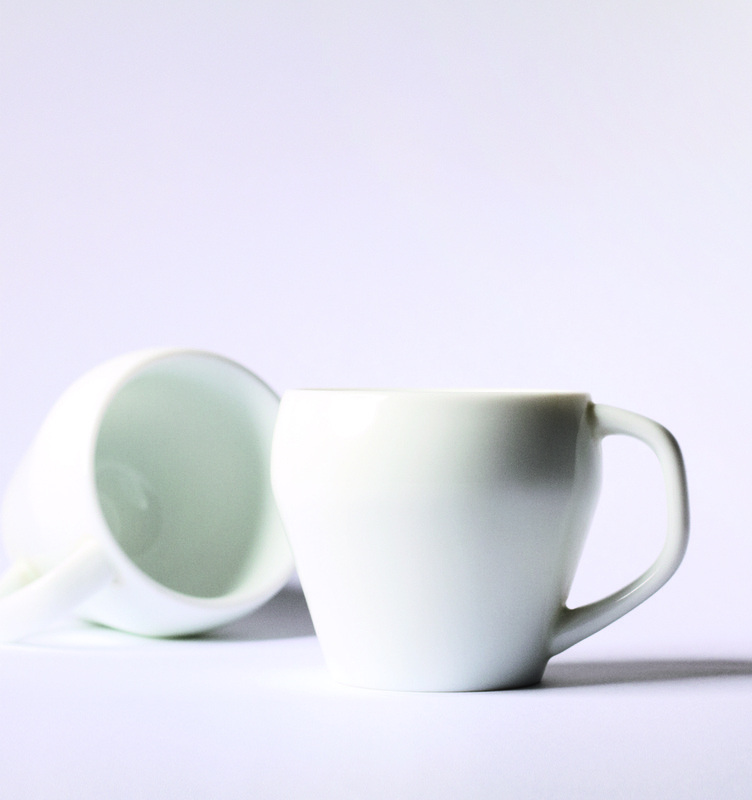 The result is a cup that every barista or home consumer would be proud to use. 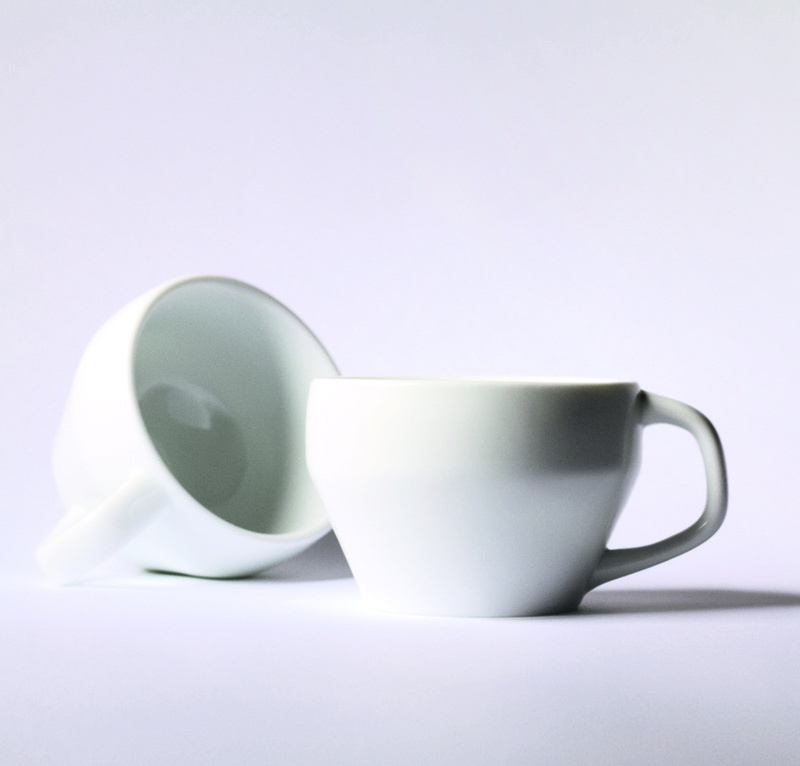 Made from the only the highest grade porcelain, our unique cups have all those characteristics we love in a great cu; thick side walls, a very heavy feeling in the hand and of course a rounded inside bottom. Each cup is accompanied by its own plate. Please note that these cups are not mass produced, each cup is finished by hand and the handles are also applied by hand. Minor differences with each handle are to be expected and make each cup unique. There are 3 sizes available. Espresso 70ml (just over 2oz) perfect for singles or tight doubles. Cappuccino 200ml (just over 6.5 oz) which is great for a cappuccino or Paul’s favourite 2 tight ristretto shots with latte milk. The largest cup is 300ml (10oz), we call it the Latte cup, but really it is a just a great size for those that enjoy larger milk volumes.